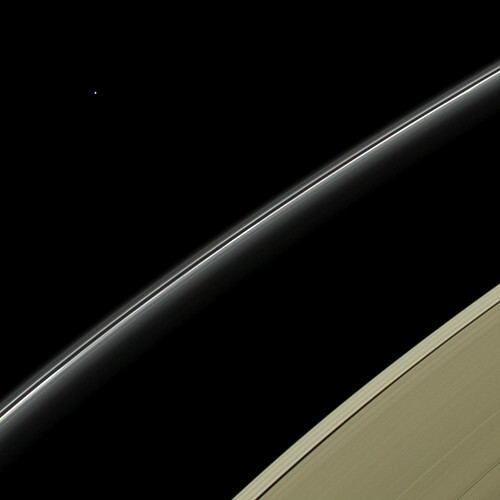 Today marks ten years since the Cassini spacecraft arrived at Saturn. The image above is one of my personal favorites (similar images also available via BigBangPrints.com). Ain’t nobody got time for watching Mars Curiosity rover videos! Here’s the first year, in two minutes. Hope more Mars images become available by our friends at Big Bang Prints soon. 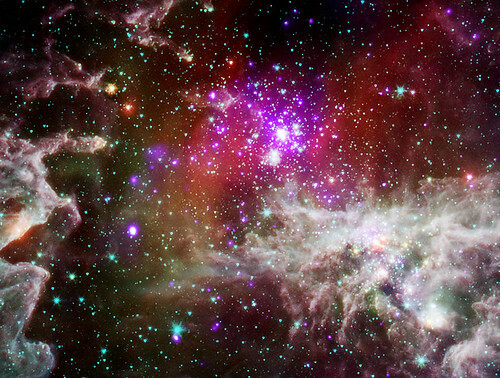 This composite image of NGC 281 contains X-ray data from Chandra (purple) with infrared observations from Spitzer (red, green, blue). The high-mass stars in NGC 281 drive many aspects of their galactic environment through powerful winds flowing from their surfaces and intense radiation that heats surrounding gas, “boiling it away” into interstellar space. This process results in the formation of large columns of gas and dust, as seen on the left side of the image. These structures likely contain newly forming stars. The eventual deaths of massive stars as supernovas will also seed the galaxy with material and energy. Read more about NGC 281. Take the DNA of the deceased NASA Phoenix Mars Lander, add bits and pieces from several lost Mars missions and you have a “Frankenstein” mission competing for a spot on NASA’s space exploration lineup for the next decade. The mission, once called the Geophysical Monitoring Station, is nameless for now. It would carry a seismometer that flew aboard a doomed Mars Surveyor 98 spacecraft, and a burrowing “mole” device based on an instrument lost during the British Beagle 2 mission’s hard landing in 2003. But the probe’s goal is clear: to learn the early evolution of terrestrial planets such as Earth by tapping a Martian geological record more than 4 billion years old. The mission planners’ willingness to cannibalize technologies from other missions has allowed them to put together the Mars mission for relatively low cost. About 77 percent of the spacecraft is lifted from the Phoenix Mars Lander, and another 20 percent has just minor modifications. Only 3 percent of the spacecraft would need to be built from scratch or completely replaced. The GEophysical Monitoring Station (GEMS) is a Phase A Discovery mission designed to fill a longstanding gap in the scientific exploration of the solar system by performing, for the first time, an in-situ investigation of the interior of Mars. This mission would provide unique and critical information about the fundamental processes governing the initial accretion of the planet, the formation and differentiation of its core and crust, and the subsequent evolution of the interior. The scientific goals of GEMS are to understand the formation and evolution of terrestrial planets through investigation of the interior structure and processes of Mars and to determine its present level of tectonic activity and impact flux. A straightforward set of scientific objectives address these goals: 1) Determine the size, composition and physical state of the core; 2) Determine the thickness and structure of the crust; 3) Determine the composition and structure of the mantle; 4) Determine the thermal state of the interior; 5) Measure the rate and distribution of internal seismic activity; and 6) Measure the rate of impacts on the surface. 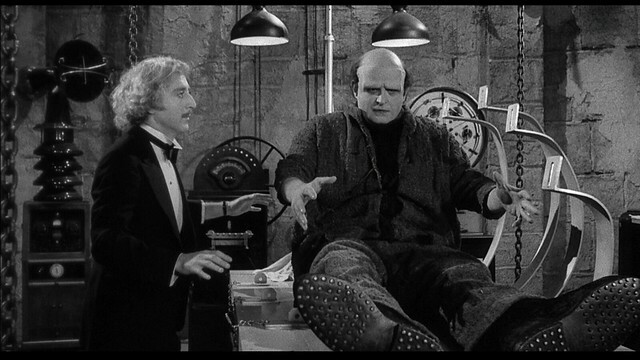 To accomplish these objectives, GEMS would carry a tightly-focused payload consisting of 3 investigations: 1) SEIS, a 6-component, very-broad-band seismometer, with careful thermal compensation/control and a sensitivity comparable to the best terrestrial instruments across a frequency range of 1 mHz to 50 Hz; 2) HP3 (Heat Flow and Physical Properties Package), an instrumented self-penetrating mole system that trails a string of temperature sensors to measure the planetary heat flux; and 3) RISE (Rotation and Interior Structure Experiment), which would use the spacecraft X-band communication system to provide precision tracking for planetary dynamical studies. 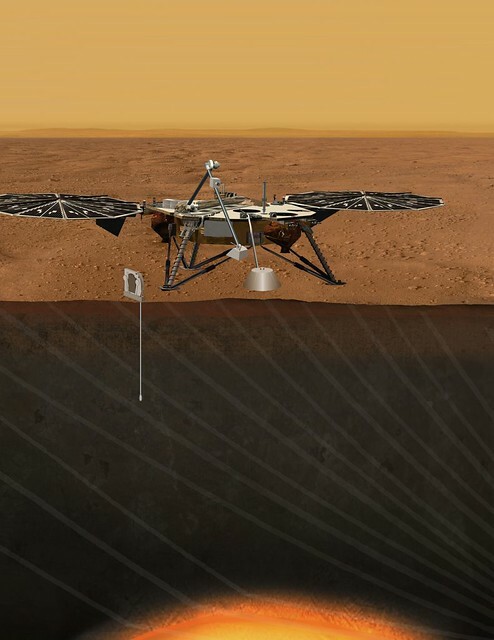 The two instruments would be moved from the lander deck to the martian surface by an Instrument Deployment Arm, with an appropriate location identified using an Instrument Deployment Camera. In order to ensure low risk within the tight Discovery cost limits, GEMS reuses the successful Lockheed Martin Phoenix spacecraft design, with a cruise and EDL system that has demonstrated capability for safe landing on Mars with well-understood costs. To take full advantage of this approach, all science requirements (such as instrument mass and power, landing site, and downlinked data volume) strictly conform to existing, demonstrated capabilities of the spacecraft and mission system. It is widely believed that multiple landers making simultaneous measurements (a network) are required to address the objectives for understanding terrestrial planet interiors. Nonetheless, comprehensive measurements from a single geophysical station are extremely valuable, because observations constraining the structure and processes of the deep interior of Mars are virtually nonexistent. GEMS will utilize sophisticated analysis techniques specific to single-station measurements to determine crustal thickness, mantle structure, core state and size, and heat flow, providing our first real look deep beneath the surface of Mars.